Lafayette Whether you woke up to the good news or went to bed with a smile of your face, deep down in your heart of hearts, you were relieved that the country had not sold all of its soul to the devil by standing up and sending Judge Roy Moore to abysmal defeat. Even though you may be still be confused about the psyche of the American people, you were proud that there was enough strength of character to send a message to Washington and beyond there there are places we will not go. Today, we give thanks once again to African-American women, who turned out in force to push Doug Jones, the Democrat in the race, into the US Senate to finish the current US Attorney General Jeff Sessions unexpired time in the Senate. Today, we also give thanks for the first time in a long time to moderate Republicans who might not have been able to get their “Jones” together, but stepped in and wrote in the name of other candidates when they couldn’t in good conscience vote for Moore, as a molester, hater, and past-the-pale right winger. We now almost know exactly how many moderate Republicans are left in a deep red state like Alabama, about 20,000 or roughly 1.7% of the electorate yesterday – about the same margin Jones recorded in his victory. Will this teach Washington a lesson? Maybe, even though it won’t teach the President much of anything. The plane engine has hardly cooled down from taking him to a rally on the Alabama-Florida line, and he’s already saying, he told us so, and he knew Moore would lose. So, forget about that. The rest of Washington though has gotten a warning about the price they may have to pay to be card carrying members of the Trump-Republican party. Some are going to have trouble not seeing the Virginia governor’s race, the Alabama Senate race, and other recent contests as a sign that this stuff is not selling and the voters have stamped an “expire by” date on these shenanigans. 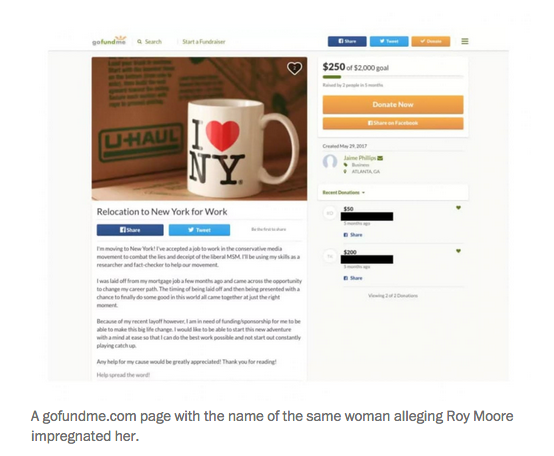 But, while we’re giving thanks, what can we do to help the white woman of Alabama? Who is going to protect their daughters, since they seem to have signaled that it’s open season on them. 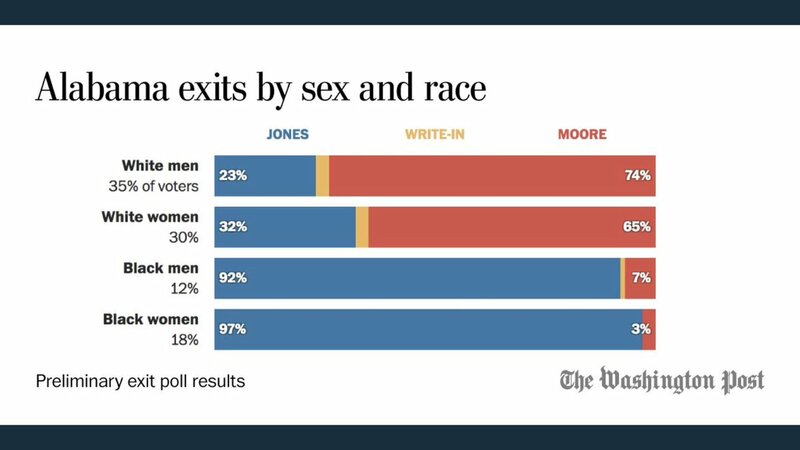 Early indications are that they voted decisively for Moore even in this #MeToo moment. What message did they just send to the good ol’ boys around the state? Do whatever, we’ll look the other way, and we’ll forgive you later? That’s what Trump is hoping for as he tries to pretend he doesn’t even know the women accusing him of abuse and harassment, despite photographic evidence, and, furthermore, attacks the woman who is a US Senator from New York for calling him down on his behavior. As a woman said to me today when she saw me scratching my head over these puzzles, “It’s like Harriet Tubman said, ‘I could have saved more, if they had known they were slaves.’” Perhaps that’s not the exact quote, or even what Tubman really said, but it’s true as it can be, and it applies perfectly in this situation.